Every Sunday, Mayor Rob Ford and his brother, Doug, host a two-hour talk show on Newstalk 1010. This week, we listened for you. You're welcome. 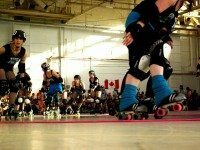 This weekend: grab your best mug for the Toronto Tea Festival, Toronto Roller Derby returns, find out where to spend your Superbowl Sunday, and more. This weekend, celebrate Black History Month at the Harbourfront Centre; former Feist opener, Bry Webb, returns to the stage; a new season of Toronto Roller Derby begins; Embryon hosts a night filled with tons of games, and more! It’s Really Cold! And Other Exciting News Stories, But DAMN Is It Cold!